The exhibition the “Hyperbataille” of Verdun was inaugurated on Tuesday 2 February 2016, in presence of representatives of the Mission Centenaire 14-18 (First World War Centenary), the French Defence Ministry, the Bibliothèque de Documentation Internationale Contemporaine (BDIC) and the Society of Friends of the musée de l’Armée (SAMA). 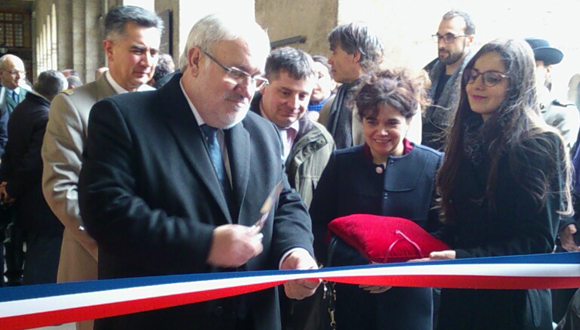 On 2 February 2016, Major General Christian Baptiste, director du musée de l’Armée, welcomed Jean-Marc Todeschini, Minister of State for Veterans and Remembrance at the Defence Ministry and Myriam Achari, Director of the Remembrance, Heritage and Archives Department of the Defence Ministry. 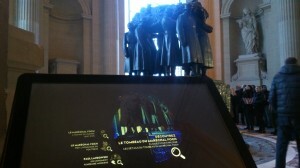 The exhibition was presented by Vincent Giraudier who curated it. 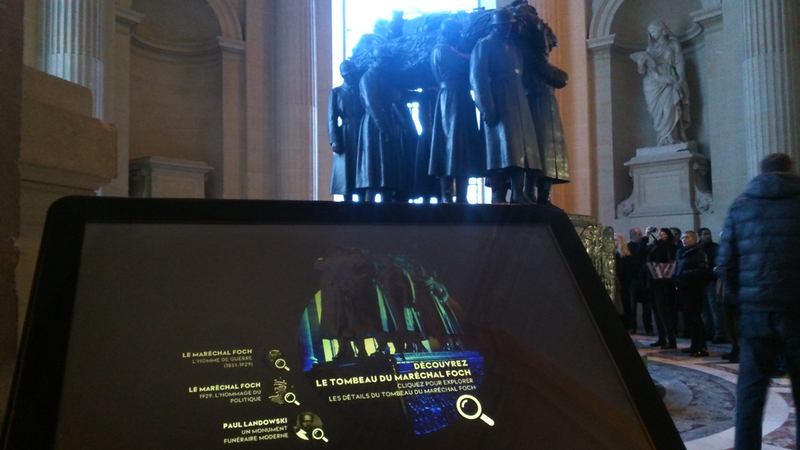 Continue your visit in the Dome Church with the interactive multimedia program dedicated to Marshal Ferdinand Foch that is actually presented in front of the Tomb of Marshal Foch designed by French sculptor Paul Landowski. 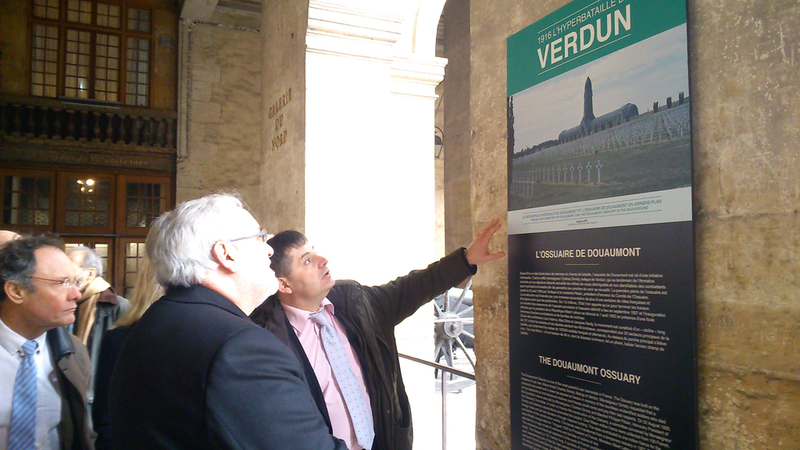 Admission to the special exhibition the “Hyperbataille” of Verdun presented in the Cour d’Honneur of the Hôtel national of the Invalides is free.